Sweet Beans of Life: Easter Foods and Recipes! Every Easter is spent with breakfast at church followed with services and then home to have Easter at my moms. So of course I always bring food to breakfast and also something to my mom's house (normally dessert). 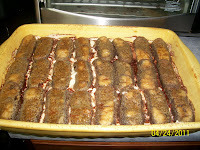 The following is what I made for today's events and I've included not only photos, but the recipe as well. Enjoy! 1. Preheat oven to 250 degrees. 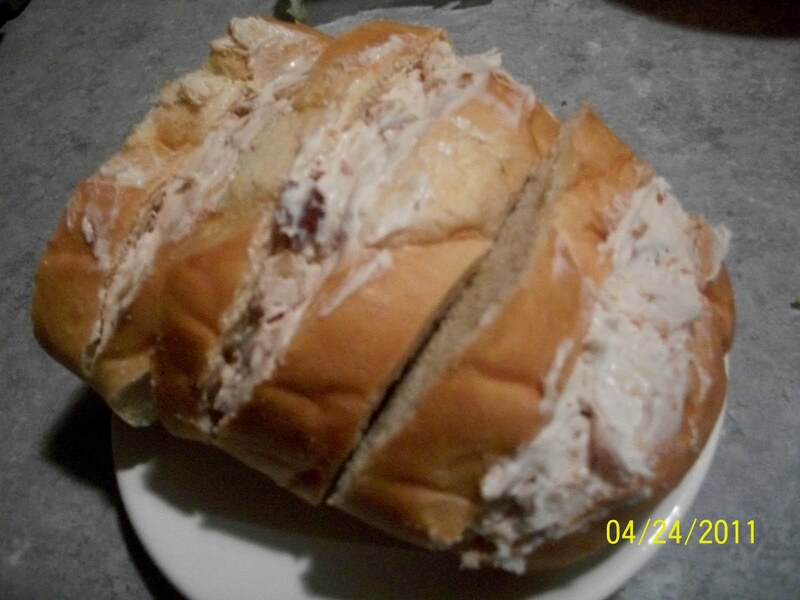 In medium bowl beat cream cheese, preserves, and almond extract with electric mixer on medium speed until fluffy. Stir in almonds; set aside 2. Cut bread into 10-12 one inch thick slices. Cut a pocket in top crust of each bread slice, about 2 inches deep, being careful not to cut all the way to the sides. 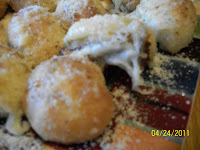 Divide cream cheese mixture evenly among pockets. Set aside. 3. In a medium bowl whisk together eggs, half and half, and amaretto. 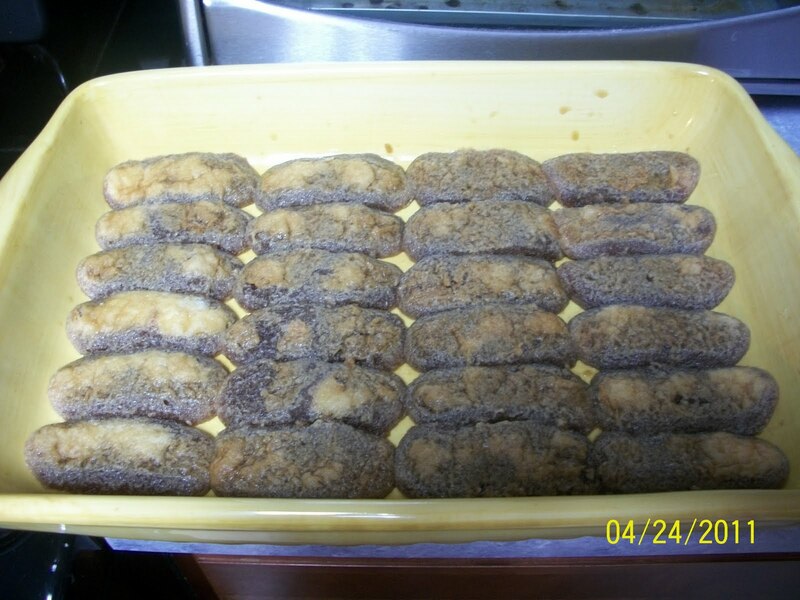 Using tongs, quickly dip th3e filled bread slices in the egg mixture, allowing excess mixture to drip off. Cook on lightly greased griddle over medium heat about 4 minutes each side. 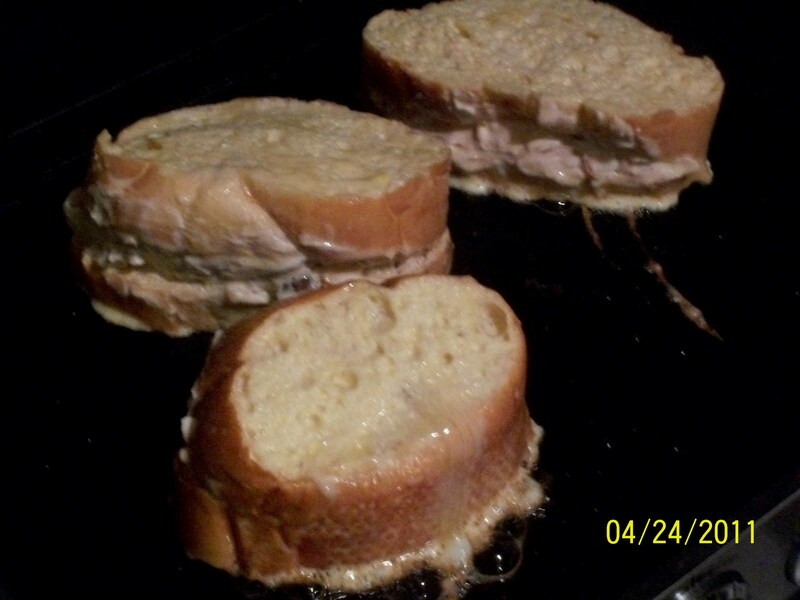 Keep warm in oven while cooking remaining slices. 4. In medium bowl toss together sliced strawberries and 1/4 cup powdered sugar. Let stand until sugar dissolves and forms a syrup. Spoon strawberries over french toast. 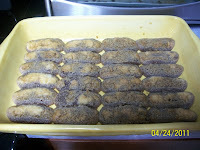 Sift additional powdered suar over each serving. 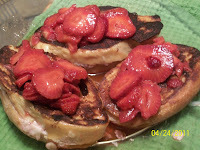 *The only thing I would change in the way I made this was to add more preserves, it was too cream cheesy. Also I used almond extract where it said you could use that or amaretto. I would use the amaretto I think, yeah...definitely! 1. Preheat an oven to 400 degrees. 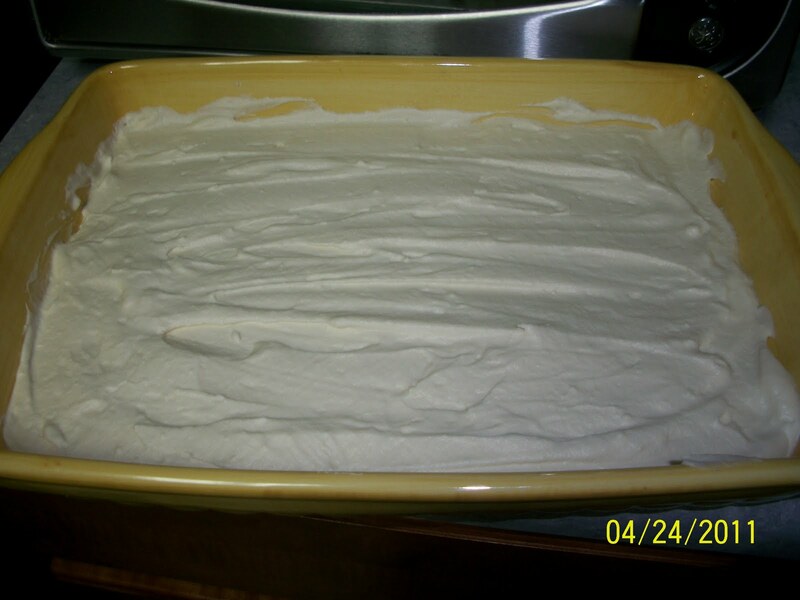 Liberally butter 2 8” cake pans. 2. Begin by finely mincing the garlic and kosher salt. The mixture should be wet and paste-like. Add this mixture to the melted butter and stir to combine. Set aside. 3. On a lightly floured surface, pound the 1 inch dough pieces out into a thin circle; it should be 3 inches wide. 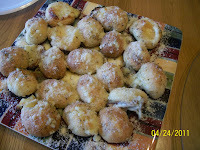 Place the piece of mozzarella cheese in the center (or 1 tbsp if using shredded) and fold up the dough around the cheese. 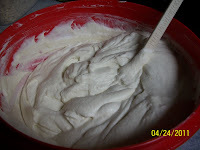 Place the rolls seam side down on the floured surface and, using your hands, roll the dough to stretch and smooth the bottom until the roll is completely sealed. 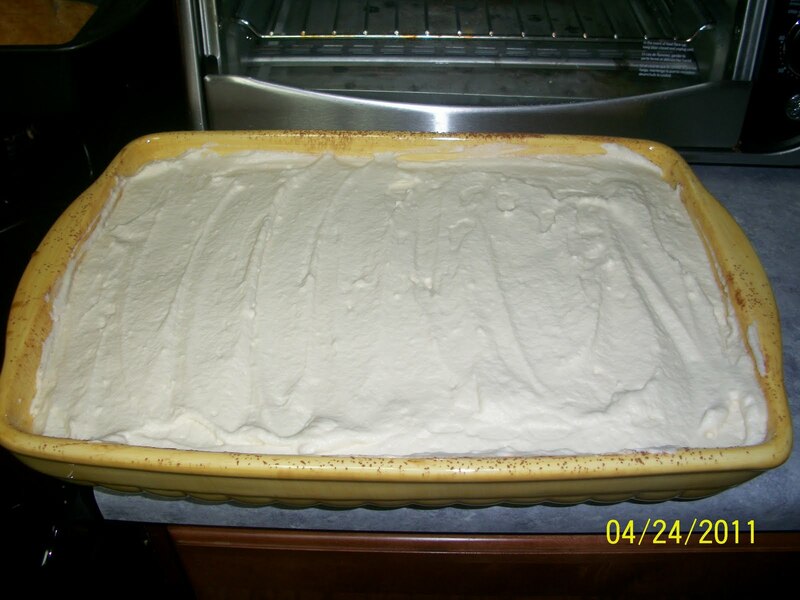 Place in the prepared cake pans; they should just barely touch. 4. 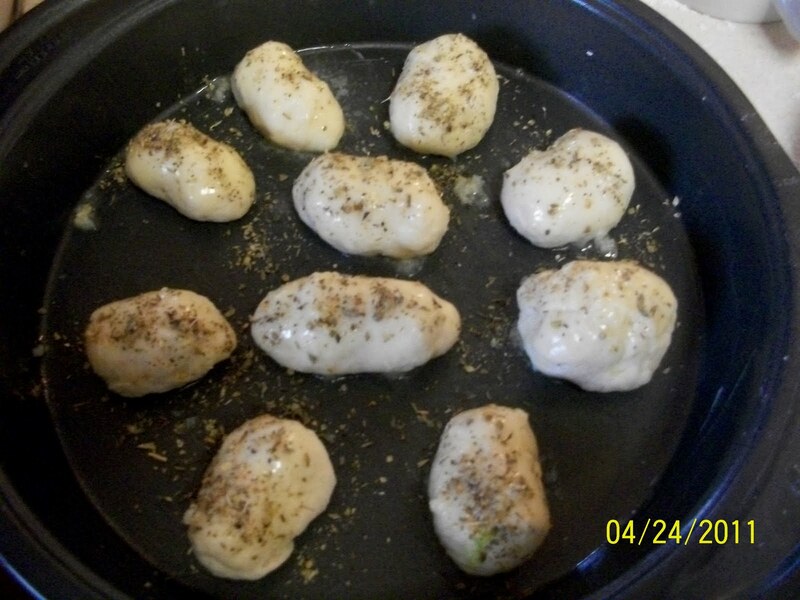 Brush the rolls with half of the raw garlic and melted butter mixture and reserve the rest. 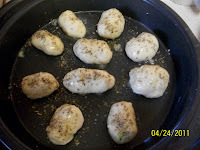 Sprinkle the buttered rolls with oregano and place in the oven for about 20 minutes. 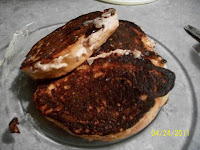 The rolls should be puffed and golden brown. The remaining butter mixture should be brushed over the top of the rolls immediately after removing them from the oven along with a sprinkling of parmesan cheese. Serve hot. 1. Put the espresso, 3/4 cup of the sugar, and 1/4 cup of the coffee liqueur into a heavy saucepan, and bring to a simmer over medium-high heat. Whisk until the sugar dissolves, 3 to 4 minutes. Remove the pan from the heat and let the syrup cool. 2. 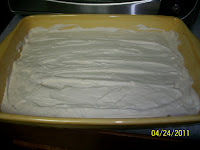 Put the yolks, marscapone, marsala, remaining 1/2 cup sugar, and remaining 1 tablespoon of coffee liqueur in the bowl of a stand mixer fitted with the whip attachment and whip on medium speed until light and airy, approximately 7 minutes. (If you don’t have a stand mixer, you can use a hand mixer fitted with the whip attachments.) Transfer the mixture to another bowl and clean and dry the stand mixer bowl and the whip attachment, returning them both to the mixer. 3. Put the cream in the bowl of the stand mixer and whip until stiff peaks form. 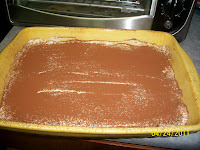 Gently fold the cream mixture into the marsala mixture. 4. 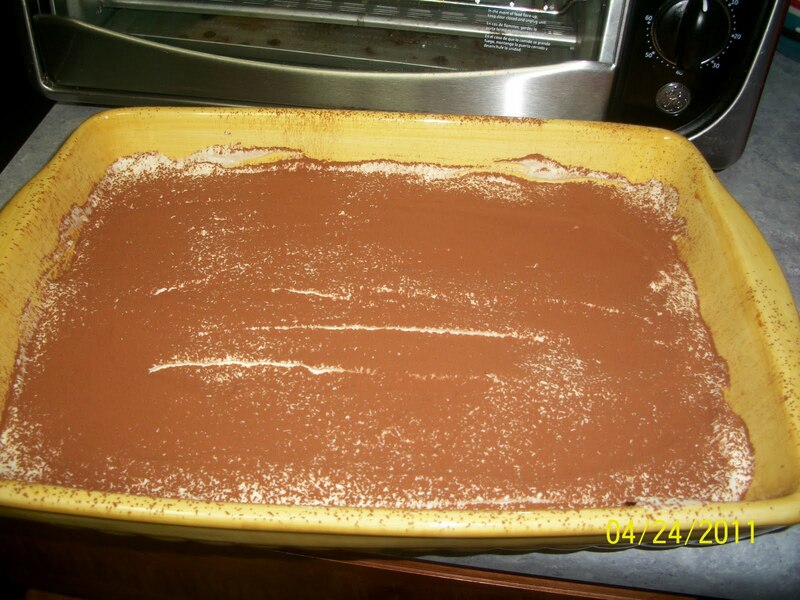 One by one, dip the ladyfingers in the espresso syrup and arrange a layer in the bottom of a 13-inch x 9-inch pan. 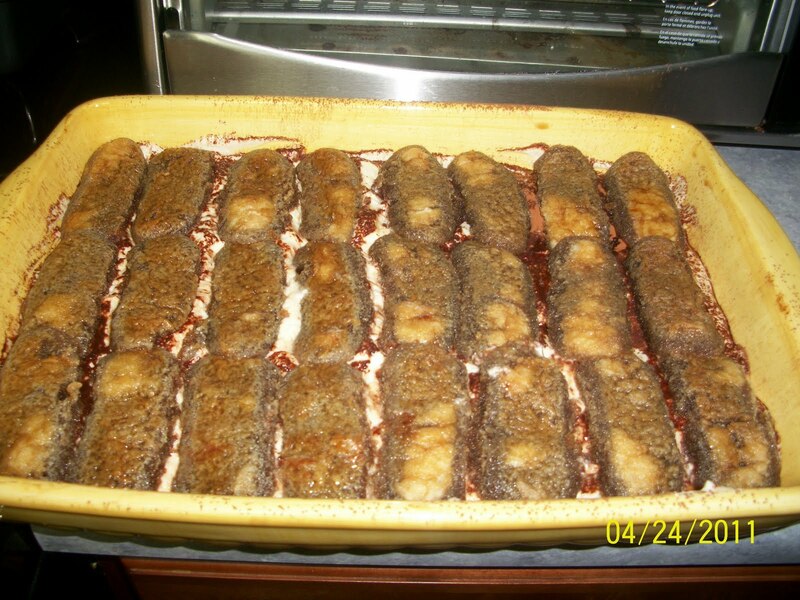 (3 rows of 7 across the width worked perfectly, each layer) Spoon a layer of cream over the ladyfingers. 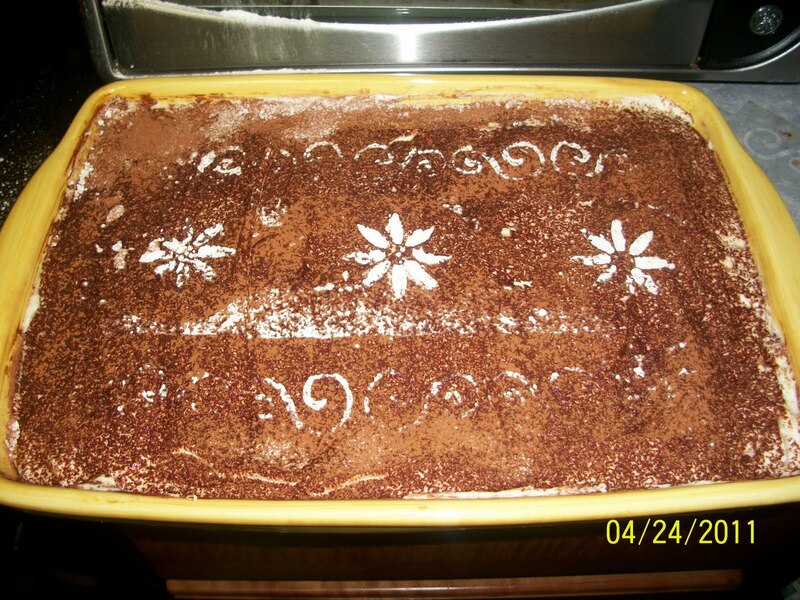 Sprinkle some cocoa powder over top of cream. 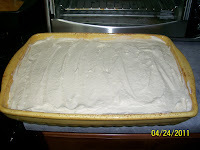 Dip and arrange another layer of ladyfingers over the cream, with the second layer perpendicular to the first. Spoon the remaining cream over the top. 5. 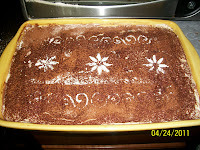 Dust the tiramisu with cocoa powder. Cover loosely with plastic wrap and refrigerate for at least 2 hours, or up to 3 days. To serve, use a kitchen spoon to scoop out portions into small bowls or glass dishes.